This is a very simple card with a beachy theme. I started with a watercolor background, which is sort of the star of the card, made with Ranger Distress Oxide inks and water. I stamped the shells and sentiment over the background in black Archival ink. This is my first Mother’s Day card of the year for Operation Write Home (OWH). I like to make lots of Mother’s Day cards for the troops to send home. I think it is especially important that they have a good supply to choose from. This week on OWH Stars and Stamps blog, we had another installment of OWH Design Bootcamp: Get to the Point: Creating a Strong Focal Point. The lesson was about creating a strong focal point on your cards. 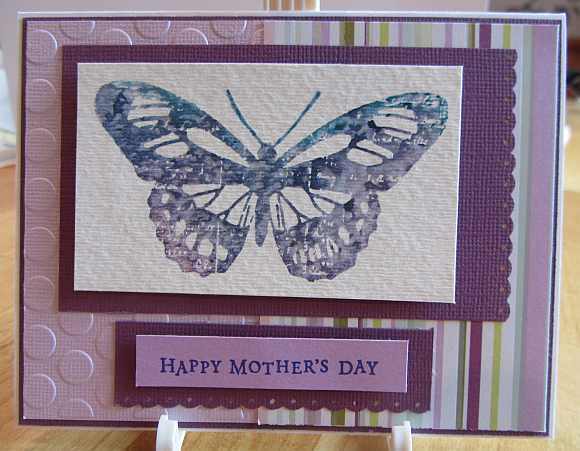 So using the information supplied in Paula’s lesson, I created this card with a strong focal point: the butterfly. Yes, another butterfly! The butterfly image is the largest element on the card; it is layered with a darker, contrasting color beneath it; and the watercolor technique used draws the eye in because of the textures and blended colors used. 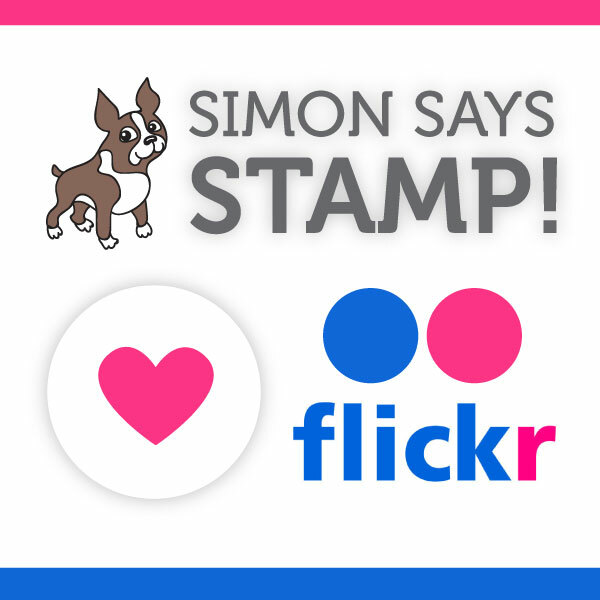 I applied ink directly to the rubber stamp with Ranger Distress Markers and then spritzed the inked stamp with water before stamping on the watercolor paper. Thanks for stopping by.